A city-based trainer has claimed to have set a world record by holding a Yoga session at the highest altitude. Krishnakant Mishra (55) told PTI today that he held a 45-minute yoga session with a group of about 40 persons at Hilsa, a mountainous region near Nepal-China border, on June 21, the International Yoga Day. Golden Book of World Records took note of this unique feat, he said. "The World Record of 'yoga session at highest altitude' has been achieved by Mr Krishnakant Mishra at Hilsa, Nepal....Mishra took yoga session at the altitude of 3,640 metres (11,940 ft)," reads the certificate by Golden Book of World Records. Earlier Mr Mishra had set a record by teaching Yoga on the Indore-Jodhpur Ranthambore Express' on the Yoga Day in 2015. 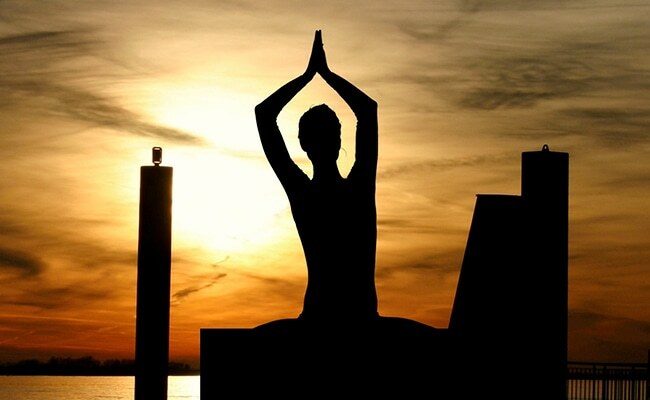 On the next Yoga Day, he plans to conduct a session on a cruise ship, Mr Mishra said.